Welcome to Auckland’s leading Soft-tissue and Massage Therapy specialist clinic, situated in New Lynn, West Auckland. We are proud to offer you a wide range of soft-tissue and massage therapy solutions, to help you recover from pain or dysfunction and rehabilitate from conditions related to injury, chronic pain, soft-tissue related pathologies, postural dysfunction or muscle imbalance. As well as working with you on breathing dysfunction, stress related conditions, pre and post pregnancy, oedema, headaches and migraines or you just enjoy looking after a yourself with a balanced lifestyle enhanced by a regular massage. Our team of highly trained professionals are specialists on Clinical Neuromuscular Therapy, Sports Massage and training support, Therapeutic and Relaxation Massage, Pregnancy Massage, Hot Stone Massage, Lymphatic Drainage and Bach Flowers Remedies. 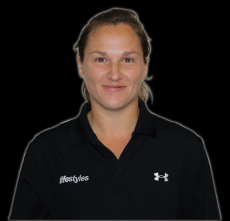 At Lifestyles Neuromuscular & Massage Therapy your highly qualified therapist will create a totally confidential treatment plan specific to your needs, with the aim of helping you achieve any soft-tissue, rehabilitation, recovery or maintenance goals you may have. Our professional approach means that you can expect to be treated with honesty, dignity and respect at all times. 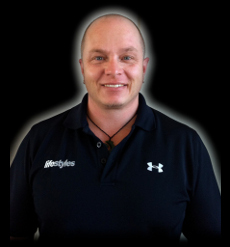 Doug has been involved in the massage therapy industry for 12 years and as well as running and practising from this successful clinic for the last 5 years, splits his time teaching at the NZ College of Massage in Epsom. Doug teaches the Neuromuscular Therapy component to the 2nd and 3rd year Degree students, focusing on clinical assessment, clinical reasoning, differential diagnosis and practical technique application, incorporating biochemical and psychosocial aspects of the patients condition into the bigger picture. Doug has a particular passion for chronic pain and associated conditions and pathologies: these include headaches, migraines, TMJ dysfunction, breathing dysfunction and stress related issues, longstanding neck and low back pain. His approach to treatment is multifaceted, investigating many aspects incorporated into your daily routine that may perpetuate your chronic problem and so recovery will often include dietary, psychosocial as well as biomechanical applications to complete a very holistic treatment plan of which you, the patient play an essential and active role towards your recovery. Bryan is currently completing the final year in Bachelor of Health Studies (Massage & NMT). 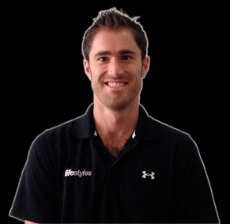 Bryan is the newest member of the team @ Lifestyles NMT and has spent the last 2 years working alongside other exercise professionals at a Health & Fitness facility in Auckland. A personal discovery of mental, physical and emotional benefits of regular treatment massage led Bryan to study towards a career where his interest and knowledge in anatomy, physiology and biomechanics could be utilised. He has 21 years personal experience in weight, cardio and gym based training and understands the principles of effective training and nutrition. Bryan enjoys the complexities of working with athletes relying on their body to perform to their potential, as well as the general public needing help to de-stress and educate his clients how to achieve a higher level of health and well being. Rachel qualifications include a Degree in Neuromuscular therapy - BHS (Massage and Neuromuscular Therapy), Dip. HSc Massage & Sports Therapy and a Dip. HSc Therapeutic Massage studying at NZ College of Massage. Rachel is also on the teaching team on the Certificate in Relaxation Massage program at NZ College of Massage. 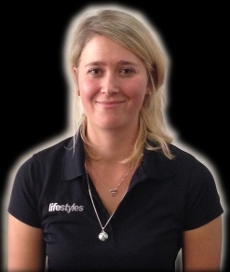 Over the past few years, she has the experience of working with some of New Zealand's elite athletes and sports teams such as; The NZ Warriors NRL squad, the NZ Breakers, Waitakere United Football Club, Manu Samoa Rugby World Cup Team, Scotland U20's National Rugby Team and various triathlon and multi-sport athletes. This previous experience has given Rachel a wide range of knowledge in Sports therapy and a passion for working with active members of the community. A keen sportswoman herself, Rachel participates regularly in Horse riding, Snowboarding, Surfing and many other outdoor pursuits. These past times have given her insight into the relationship between the musculoskeletal system and various physical activities. Rachel is experienced in treating a range of soft-tissue dysfunction and discomfort, including postural imbalances, previous injuries, shoulder and rotator cuff injuries, chronic lower back pain and neck dysfunction, headaches, stress, breathing dysfunction, fatigue and many more chronic soft tissue problems. Each treatment focuses on being completely tailored to the individual's requirements and Rachel's emphasis is on a partnership between Therapist and client to help facilitate the process of healing. In addition to the presenting physical symptoms, Rachel also explores the biochemical, psychosocial and lifestyle factors that may be impacting on your recovery. Rachel enjoys working collaboratively with each client, to achieve your optimal goals. She strives to educate her client's about the influences of personal lifestyle, environment and the relationship between physical discomfort and psychosocial factors and how to improve their general well-being through using massage therapy and exercise rehabilitation. Lawrence holds a Diploma in Health Science and Sports Therapy and is currently studying a Bachelor in Health Studies and Neuromuscular Therapy. He is also a Registered Massage Therapist with Massage New Zealand. Lawrence has a fascination with the musculoskeletal system and the holistic hands-on approach of massage therapy. Through his training Lawrence has developed a keen interest in human biomechanics as well as the maintenance of good health and wellbeing. He is particularly interested in the effects that psychological and physiological stress have on the body, and how massage therapy and exercise rehabilitation can benefit this. 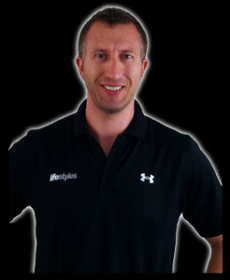 He enjoys working with his client's to develop a specific treatment plan that best suits their needs; whether it is a relaxation treatment to reduce stress, specific treatment protocols to address chronic soft-tissue dysfunction and/or pain, or a pre, post or maintenance massage in preparation for a sporting event. Lawrence develops a personalized home care program after each session in order to help with his client's rehabilitation or sporting aspirations. Nici Stirrup holds a Diploma in Health Sciences and Therapeutic Massage. Shortly after arriving from the UK she began her training at the NZ College of Massage in 2009. Nici is currently studying for a Diploma in Health Sciences (Sports and Massage Therapy). She is a registered member of Massage NZ. A personal experience of injury due to musculoskeletal imbalance and core instability sparked an interest in body mechanics and rehabilitation exercise. This experience and her enthusiasm for health and nutrition led her to the decision to pursue massage therapy as a career. Nici holds a firm belief that massage is a powerful tool for healing and rejuvenating both body and mind. Massage therapy encompasses three core concepts; physical, psychological and biochemical. Nici practises this holistic approach to develop personalised treatment plans that cater to your specific needs and goals. Nici uses a variety of assessment techniques to identify the cause of muscle discomfort as well as revealing possible postural misalignment and muscle imbalances. Treatment techniques will encourage pain-free and fluid movements as well as reducing tension related to overuse, stress or lifestyle pressures. Nici has experience providing massage services at a number of sporting events. These include: USA Women's Hockey team at the Four Nations Hockey Tournament, Auckland Provincial Rugby Team, Oxfam Trailwalker 100km event in Taupo, Auckland Marathons and Squash Club tournaments.